Located in Sagittarius, this nebula looks like a Swan swimming on a pond. (Well, they say that!). 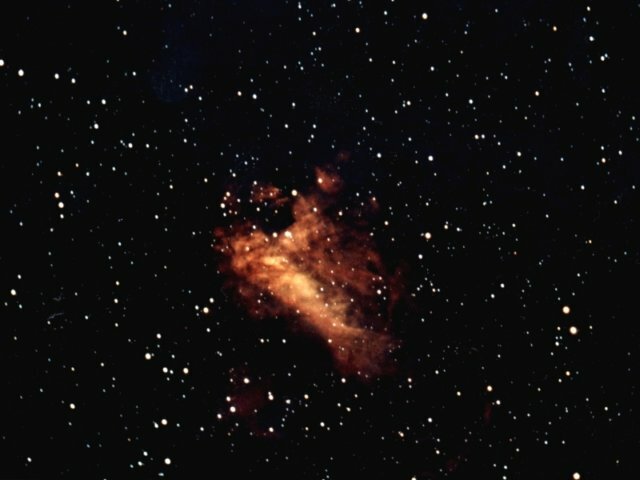 Sometimes known as the "Omega Nebula". Photo by Steven Williams, taken at the prime focus of the C14, using Kodak 1000 and a 40 minute exposure.